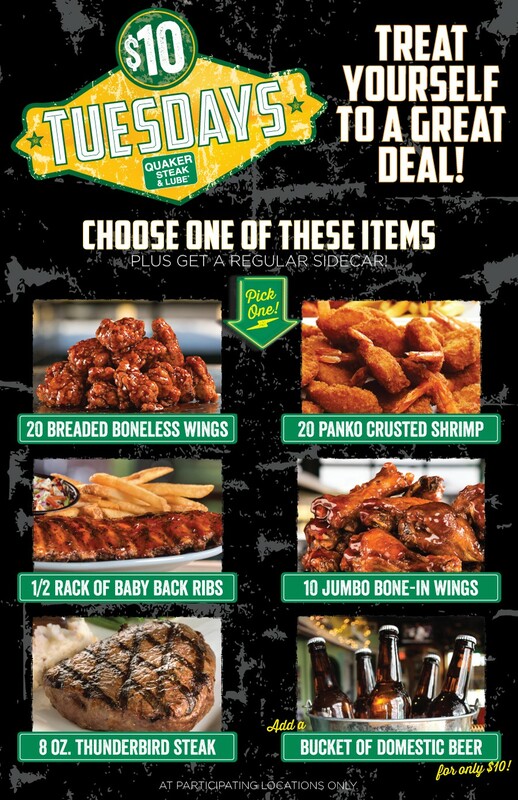 $10 Tuesdays At the Quaker Steak & Lube® Restaurant In Sevierville, TN! Plus get a regular sidecar. Add a bucket of domestic beer for just $10! Only Available At Participating Locations.